The best technology is worth nothing when there is no power supply. During operations, mains supply is often not available or not reliable. Here, our portable power supplies are used. As a result of battery operation, their use is absolutely noiseless. 12 V DC suitcase solution The small suitcase solution for 12 V DC consumers. Optimum performance in minimum space. The rechargeable LiPo batteries provide best performance data at lowest weight. 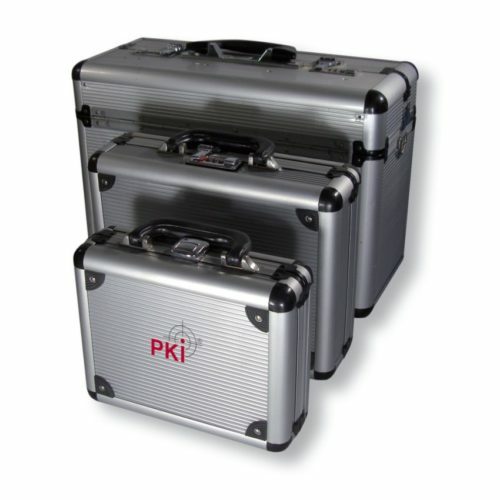 Specific control electronics allow to interconnect several carrying cases to enhance capacity. Maintenance-free and operable irrespective of its position. Deep-discharging protection included. Delivery with mains powered battery charger. Compact unit for 230 V AC power supply like power from the socket. Besides the rechargeable batteries and the DC/AC converter, this case also houses a deep-discharging protection to prevent damages of the rechargeable batteries. in addition to the 230 V AC socket outlet, there is also a 12 V DC connection. Maximum connected load 60 W.
Delivery with mains powered battery charge. Power in a compact package. Rugged portable power supply for consumers having a power of up to 300 W. Complete with integrated battery charger and deep-discharging protection, this portable power supply also works absolutely noiselessly. In addition to 230 V AC, here too, 12 V DC outputs are implemented.